With news of an upcoming royal wedding in Japan, let's have a look at the grand tiara worn at two of the most important imperial weddings of the 20th century, shall we? This tiara goes by various names, but because of its key role in these two ceremonies, I call it the Japanese Crown Princely Wedding Tiara. The first imperial bride to wear the tiara on her wedding day was Michiko Shoda. She wed Crown Prince Akihito of Japan in April 1959. The bride and groom at Japanese imperial weddings make a costume change: they wear both traditional Japanese attire and Western clothing as part of the festivities. 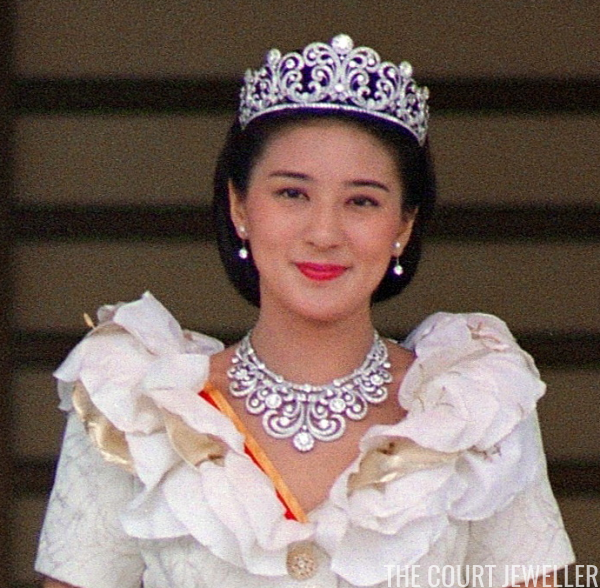 For the Western-style part of her wedding, which included a carriage procession through the streets of Tokyo, Michiko wore this diamond tiara and its matching necklace. Akihito and Michiko are now the Emperor and Empress of Japan. 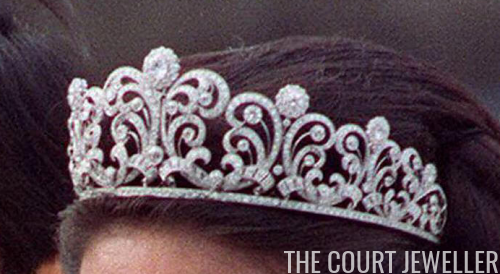 Several decades later, another crown princely bride stepped up to wear the wedding tiara and its accompanying necklace. 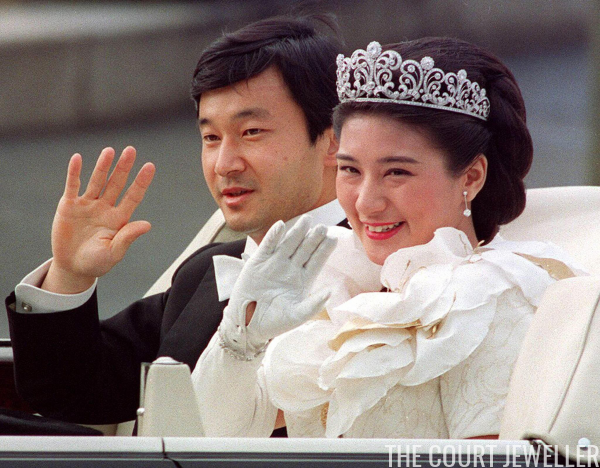 Masako Owada, a highly-educated Japanese diplomat, married Akihito and Michiko's elder son, Crown Prince Naruhito, in June 1993. Like her mother-in-law, she wore the tiara and necklace during the portion of the wedding festivities when she wore Western-style clothing. 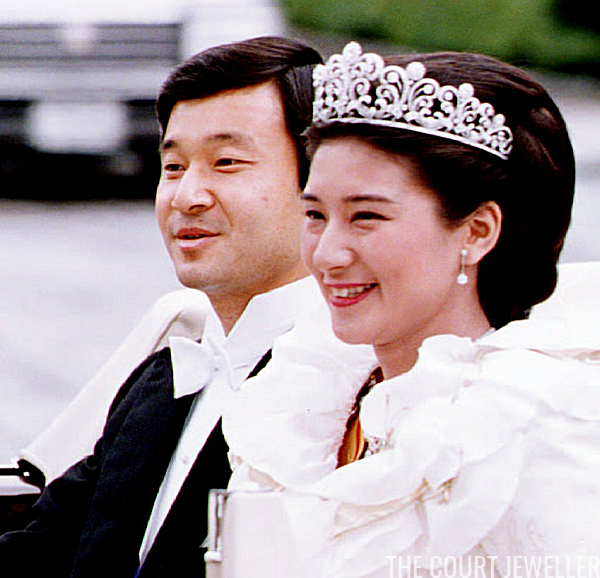 Since her wedding, Crown Princess Masako has favored a different tiara, the Pearl Sunburst, for gala occasions. If Japanese imperial traditions hold, the next bride to wear this tiara would be the wife of Prince Hisahito of Akishino, who is currently the only heir to the imperial throne in his generation.